Leslie Stein is Senior Research Fellow at Macquarie University. Chapter One: The War of Independence. Chapter Three: The Ingathering of the Exiles. Chapter Four: Early Social, Political and Economic Developments. Chapter Five: The Scourge of Arab Infiltration. Chapter Six: Operation Kadesh: The Sinai Campaign. Chapter Seven: Interlude Between Wars. Chapter Eight: The Lead Up To The Six Day War. Chapter Nine: The Six Day War and Its Aftermath. "Israel moves forward. Palestine stands still. Israel builds its future. Palestine guards its past. Stein's work provides a good introduction to this sad saga for the perplexed and the uninitiated." "This volume could very well last as required reading about Israeli history for the next decade to come." "Stein's volume is even-handed substantively and stylistically, which makes it a very good choice for an introductory text in university courses about Israel or the Arab–Israeli conflict." "Stein takes us on a fascinating tour, highlighting major and lesser events in the history of young Israel." 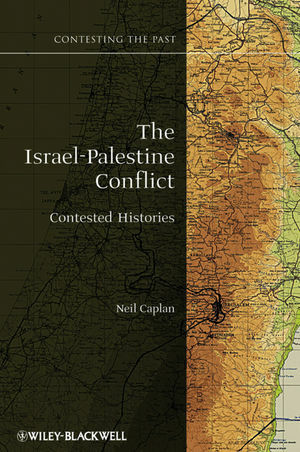 "Balanced, well researched and will substantially extend the knowledge of any student of Israeli history." "Leslie Stein explains in this eloquent, highly readable and well-researched study how the Israeli state overcame the threat to its existence and emerged as the most feared military power in the Middle East ... Stein's account of the events leading up to the 1967 war is one of the most masterly and lucid to appear in years ... There is little doubt that his study will be viewed as an indispensible authority on one of the most intractable conflicts of our time." "This book can serve as a refresher course for more knowledgable readers and a sound introduction for novices." "There is little left uncovered in this up-to-date and meticulously researched book. Anybody wanting a quick and easily understandable account of Israel’s formative years would do well to read this refreshing, informative and concise telling." "He offers a good historic overview of the respective period, his book is elegantly written, easy to read and his knowledge of the material is broad." "Any reader of this book, however familiar he or she is with the history of this crucial period, is bound to learn something." "The deeper into the twenty-first century we get the less we know about the twentieth. This ignorance has so distorted even educated people’s grasp of the conflict between Israel and its Palestinian and other Arab neighbours that public discussion of it routinely descends into half-bias, half drivel. Leslie Stein's elegant and learned book is, first of all, truthful, a rare enough quality in this research area. Beyond that, it is well written and argumentative in the sense that his topic requires. The years 1948-1967 constitute the crucible of discord. Without a clear understand of these two decades, which this volume so amply provides, the citizen is in the desert with only mirages to (mis)lead him or her." "With great verve and a robust appreciation for the Zionist achievement, Leslie Stein accurately captures the drama, excitement and danger of the fledgling Jewish state's first two decades, thus putting its current tribulations in perspective. "The Making of Modern Israel is an invaluable contribution to our understanding of one of history's most extraordinary and inspiring stories. Leslie Stein is to be commended for authoring what is certain to become an indispensible resource for scholars, decision-makers, and students." 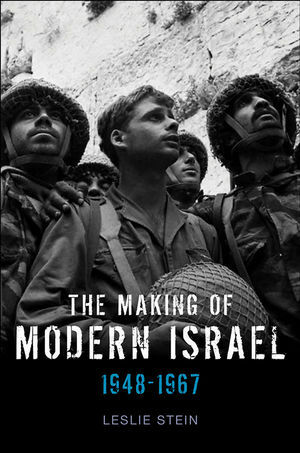 "Continuing his masterful previous history of Israel before statehood, Leslie Stein tells the complicated story of the state's first nineteen years in this highly readable, admirably concise and eminently fair-minded account. Threading his way deftly through controversial minefields with sure footing, Stein manages to convey the best up-to-date scholarship with unusual clarity. This book is strongly recommended for the general reader and as an excellent introductory text for the classroom." "Anyone who wants to find the way through the internal politics and external wars that accompanied Israel in its early and formative years can rely on Professor Stein. He gives it straight. This ought to become a standard work on the emergence of Israel to the place it holds on the international scene." A succinct and highly readable overview of one of the most critical periods in IsraelÕs short history. Covers from the founding of the State in 1948 to the Six-Day war of 1967: a time within which Israel fought three separate wars and saw its population double due to mass immigration. Draws on a vast range of sources both in English and Hebrew.